Not long ago, a sweet little robot came along and stole our hearts. His only concern was making the world a better, cleaner place, and he asked for nothing more in return than a few dust bunnies. Now, Roomba is finally getting his moment in the spotlight. Someone had the great idea to set up a camera in a darkened room to take long-exposure shots of Roomba scuttling around, and Roomba photography has taken off from there. 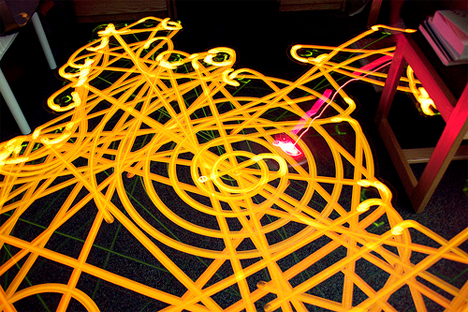 The idea is similar to other light painting or light graffiti, with the notable exception that Roomba is a machine, so lacks the ability to consciously draw pretty pictures with its light. The path of the Roomba can seem alternately haphazard and well-orchestrated, depending on the picture. In some, the little robot vacuum seems to clean every last inch of the floor. In others, it’s like it’s dancing because no one is watching. But in every one, the LED trail it leaves behind describes some very interesting and lovely patterns. 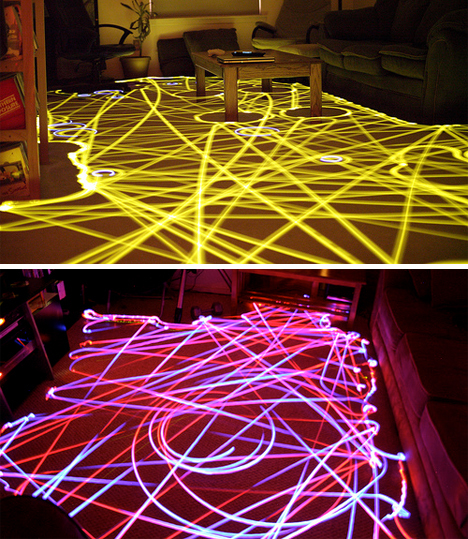 By changing the color of the LED, or by using differently colored lights for different parts of the Roomba’s action, the entire composition can change. 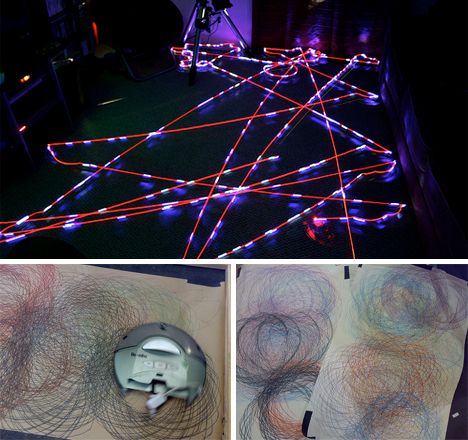 At the 2007 Maker Faire, someone even demonstrated how Roomba can draw awesome Spirograph-type pictures with a pen attached to it. 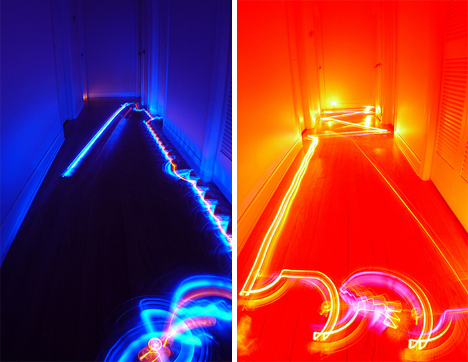 The Roomba photography trend has led to a Flickr group of nothing but art created by roving Roombas. It’s a bit under-populated at the moment, but we can only guess that as more people see what great art these little cleaning machines can make, more people will start recording it.